"Kay came across as very professional and focused when responding to my questions. In a few words Kay could pinpoint the core issues of my - in the beginning - somewhat vague ideas. 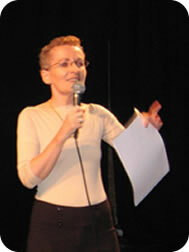 Kay was generous in giving advice based on her own broad experience in the publishing business. She made me aware of a number of very basic trip-ups that could be avoided. Kay got me back to the drawing board with lots of new, 'workable' and practical ideas. Kay is a hands-on person whose advice is well worth taking." In these articles, you'll find lots of practical tips about marketing. 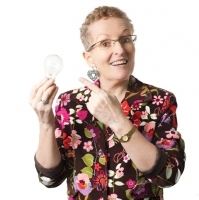 "Kay Ross is a Hong Kong-based marketing consultant & coach, editor and copywriter. She devises creative marketing strategies and crafts compelling English-language marketing communications messages that translate into bottom-line results for her clients. 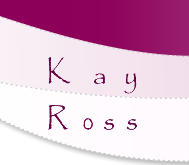 To learn more, visit www.kayross.com." In my opinion, every document that your organisation produces is by definition a marketing document. Why? The word "marketing" means many different things to different people. It can mean "selling", or "advertising", or "publicity", or "market research" or "PR". Advice about how to get media coverage (and how not to alienate journalists). So You Want to Commission a Freelance Writer/Editor? Why Should I Visit Your Website, And Why Should I Stick Around? People prefer to do business with people and companies they like, trust and respect. Build your reputation as an expert, and you'll build that "like, trust and respect" factor. Here's how. No matter how good you think your product or service is, the quality of that product or service alone is not what attracts people to buy from you. The secret is YOU - people's relationship with, and perceptions of, you. Book Review: "The Brain That Changes Itself"
If you're interested in human behaviour and psychology, this book by Norman Doidge, MD, is sure to fascinate you as much as it did me. The author reports on the latest research breakthroughs in many branches of neuroscience, and tells inspiring stories of patients who have benefitted from that research. Yes, I know, it's tempting to cut back on your marketing during "hard times". But that's short-term, fear-based thinking. Not smart. Is PR The Career For You? Are you interested in a career as a public relations professional? Senior PR executives in Hong Kong describe "a day in the life" of a PR professional, offer their tips about what skills you need, and explain how to get started.